The Model DXSR-1508 Supervised 8-Channel Receiver is a eight channel supervised digital receiver with solid state outputs designed for use with Linear’s DX and DXS Format transmitters. This receiver can be used in a variety of security and remote control applications. When the receiver detects a signal from a transmitter programmed into its memory, the appropriate channel output activates. The channel outputs have three optional configurations; momentary, toggle on/off, and latch until restored. Status and low battery outputs are for supervisory indications. Cutting jumpers select which channels require supervisory status reports from transmitters. 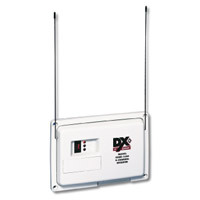 The Model DXSR-1508 incorporates a dual high-sensitivity superheterodyne diversity receiver with two whip antennas. This type of receiver provides superior performance by preventing loss of signal due to multi-path interference. In a typical installation, the receiver is connected to an alarm control panel, door strike, camera, high current relay or some other devices. Transmitters are used to activate or control the devices. 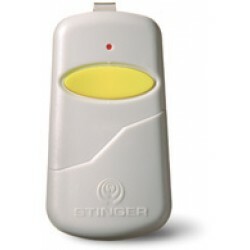 The receiver should be mounted indoors or inside a weather resistant non-metallic housing for outdoor use.